Moto G (2014), like its predecessor, is easily among the most capable Android smartphones you can buy in its price range. The smartphone offers a well-designed, solidly crafted hardware package, topped with up-to-date OS, which is bound to receive updates in a timely fashion. "Don't change it unless you can make it better" is the mantra, which Motorola embraced during the development of the new Moto G. In this regard, the manufacturer deserves credit for updated features without changing the entry-level price of the smartphone. The larger display and the stereo speakers help the device stand out among its competitors. We are really pleased that Motorola brought enhanced audio experience to the Moto G - it is truly hard to come by in its segment. With the addition of a microSD card slot on the other hand, Motorola addressed one of the biggest shortcoming the first Moto G had. Cheap memory expansion is vital in the markets where the 2014 Moto G will aim to succeed - we reckon that the memory slot alone will help it win quite a few new fans. Stock Android 4.4.4 and the promise of timely update to the next major OS build are another major plus for the new Moto G. Budget smartphones rarely get treated this well - actually few of them are even on sale with the latest Android version at the moment. The Snapdragon 400 chipset offers performance that is on par with standard for this segment. It's not ground breaking anymore, but adequate is good enough for a chipset clearly getting long in the tooth. The lack of a larger battery is the biggest gripe we have with the new Moto G. Considering its expanded multimedia capabilities, we reckon that more mAh would have been great to have on board and given the thickness of the device we can't imagine it would have been too hard to fit. Lack of 1080p video recording is another major omission, despite the brand new camera sensor in the new Moto G. We believe that the lack of additional RAM played a role on this instance. 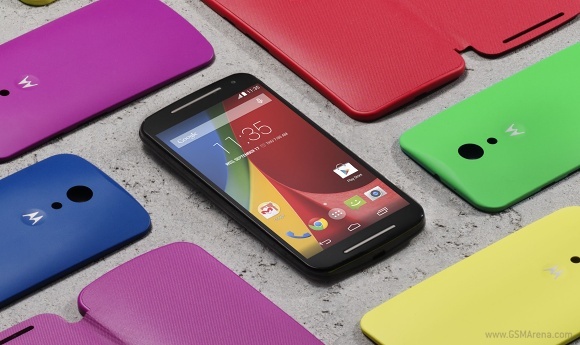 However, all shortcomings that the new Moto G has are more than made up for by its price. At $179.99, the smartphone is an incredible value any way you look at it. Here are some alternatives in case you are willing to shop around. 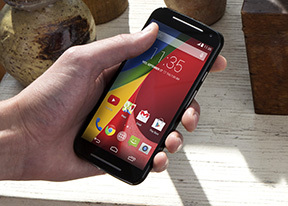 Motorola's own Moto G 4G might technically be a predecessor, but it's actually an alternative to the 2014 model. 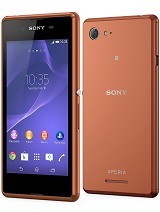 It offers more compact body with LTE connectivity and microSD card slot, though it is a tad more expensive at $219. 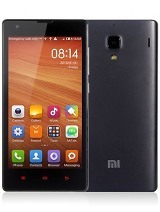 Xiaomi Redmi 1S matches closely the new Moto G in specs and is even cheaper than the subject of our review. However, it runs an outdated Android version and is incredibly hard to find in stores outside China. Sony Xperia E3 is an interesting alternative, though it lags behind the new Moto G in terms of screen resolution and doesn't offer stereo speakers. Its pricing is yet to be known, though it will likely be in the same ballpark as the new Moto G.
Micromax Canvas Elanza 2, Canvas 2 Colors and Canvas Turbo Mini all offer 720p displays and run on quad-core Cortex-A7 processors. They are also dual-SIM-enabled and feature capable 8MP snappers. However, they lag behind the Moto in terms of Android build, brand appeal, as well as design and finish. Buying a smartphone for less than $200 will always require certain levels of compromise. However, the Moto G (2014) balances things out well enough so none of those are deal-breakers and that's a big win in this segment. You will simply be hard-pressed to find a better new Android phone for the money.